This is a course on conceptualizing and curating digital cultural memory, with a particular focus on the construction of identities and expression of possible worlds, and on power, agency, and liberation in/through the independent “philosophical structures” of community-based archives. Among our animating concerns will be Afrofuturist and speculative digital library interface provocations; indigenous and local knowledges and their relation to nonlinear conceptions of time and “the record;” opportunities for place-based inquiry and understanding through archival collections; issues of sustainability; and problems of surveillance culture, hyper-quantification, and consent. We will also consider the challenges that established memory institutions and professionalized libraries and archives face when working in community. Under what conditions are authentic and equitable partnerships possible? What does good stewardship (or scholarship) mean in a post-custodial and collaborative context? How might digital platforms be better designed to protect their users, foster imagination, and honor local expertise and control? And finally, because this is a Rare Book School course, we’ll pay close attention to the ways that even born-digital and digitally remediated collections are really material culture through and through: expressions of lived experience, deeply embodied and interpenetrating with physical spaces, documents, and artifacts. We’ll take good advantage of our Philadelphia location, making field trips, welcoming guest speakers and participant perspectives, and engaging locally with the work of individual thinkers and culture-makers, independent/community-based projects and zines, established memory institutions, and formal and informal collections and collectives. These include—as a preliminary list—people and projects at the Free Library of Philadelphia (our home base for the course), the South Asian American Digital Archive (SAADA), the John J. Wilcox Jr. Archives at the William Way LGBT Community Center, Monument Lab, Black Quantum Futurism and the Community Futures Lab, Metropolarity, the Mütter Museum and Historical Medical Library of The College of Physicians of Philadelphia, Archives for Black Lives in Philadelphia, and the “Chronicling Resistance” project at PACSCL, the Philadelphia Area Consortium of Special Collections Libraries. Although our focus will be on problems and opportunities in formulating, archiving, and accessing cultural memory in the digital age, there are no technical prerequisites or computer equipment requirements for this course. Participants should be prepared to discuss assigned readings and films, participate in conversations and outings, examine objects critically, and engage creatively with ideas for alternate interfaces to collections through a series of low-tech, collaborative design charrettes. Crayons and sketch paper will be provided. Site visits will be arranged with attention to accessibility. Please contact the instructor with any questions or concerns. Bethany Nowviskie teaches this course. 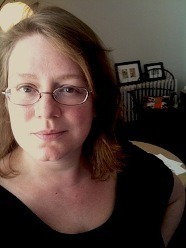 Bethany Nowviskie is Director of the Digital Library Federation (DLF) at CLIR, the Council on Library and Information Resources, and Research Associate Professor of Digital Humanities in the Department of English at the University of Virginia. She was previously Director of Digital Research & Scholarship for the University of Virginia Library, a department which includes the Scholars’ Lab, and Distinguished Presidential Fellow at CLIR. She is a past President of the Association for Computers and the Humanities (ACH), and served as special advisor to UVA’s provost on matters relating to the digital humanities. Nowviskie trained as a textual scholar and has been active in the digital humanities since 1996. She writes at http://nowviskie.org/.